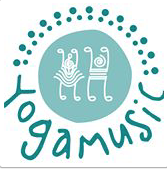 YogaMusic for Mommy & Baby/Toddler is a unique program that combines the beauty of yoga, breathing and mindfulness with the power of live music. It is addressed to moms and their child ( from 5 months old to toddler) and organized in series of 8 sessions. This is a wonderful bonding experience for moms and babies/toddlers . Come ready to play, dance and sing. During the class we explore partner poses, games, rhythm and songs to enhance attention, focus, body awareness, communication and trust with parents and caregivers. YogaMusic provides ethnic instruments, percussion, sound exploration and original puppets to make each class a one of a kind experience! Cynthia Zak Preuss, our main instructor is the founder and creator of YogaMusic. She is passionate about the usage of bilinguism in all the classes. YogaMusic system is internationally acclaimed , with schools and families in the US, Latin America and Europe using YogaMusic.